For the last year, I have found myself wanting to see and photograph different locations. The locations that have sparked my interest have been locations that are remote, obscure, and rarely photographed. These locations look like something from another planet. The areas that you hear stories about but yet you have never seen these places. I was determined to find these areas and see/photograph them for myself. 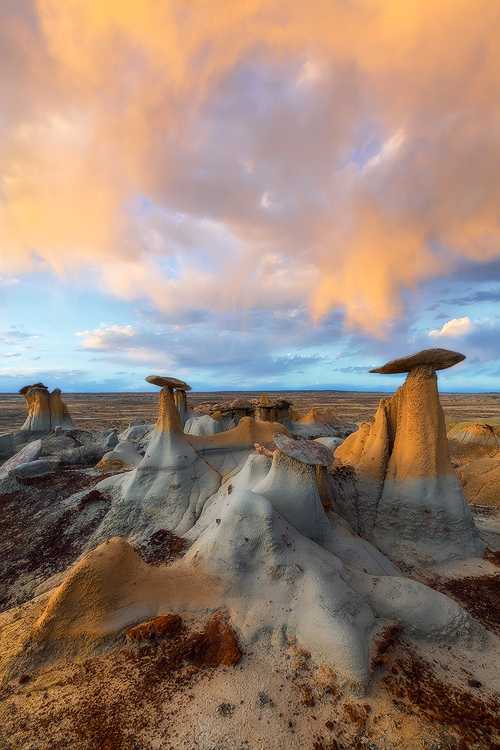 Spring……..April 2013, my buddy Paul Rojas and I have came up with a plan to visit the Bisti/De-Na-Zin Wilderness area in Northwest New Mexico. After doing some research, this was the place…a place that was remote and other worldly. The few images that I had seen from the area was definitely obscure and other worldly…perfect! Just what I needed. Little did I know, that I was going to give my RRS TVC-33 a workout like no other. We arrived at our first location in the Bisti Wilderness area. It was completely dark as we made our hike into this unknown area for sunrise. As dawn approached, the soft light slowly started to illuminate this alien landscape. It became very evident that this area was going to be difficult to photograph. The landscape consisted of sandstone, petrified wood, hoodoos and mudstone. All of which varied in different colors of reds, magenta, browns, yellows, beige, and grays. Along with the array of colors and odd formations, the area was full of hills/slopes of different sizes and textures. There was definitely tons of possibilities here. Over the next 3 days we encountered a variety of different types of light. Displays of virga, explosive light, and nice pastels complimented this other worldly landscape. With the terrain being so rugged, with uneven ground, steep hillsides and slopes having a versatile tripod was very important. My TVC-33 and BH-55 combo fit the bill. I have been using this set up for some time now and have photograph a variety of landscapes with out any issues. This outing was the same, although I had the “ultimate” tripod workout. The ease of the the leg locks with a half a twist was fast and convenient for setting up. The angle stops on the TVC-33 were invaluable when setting up on steep hills and slopes. Again, the set up was fast and easy, especially when the light is constantly changing. I was already satisfied with my TVC-33 set up from the beginning, but after my trip to the Bisti Wilderness area, my appreciation for my RRS set up went to another level. A level that is impeccable. Big huge thanks Really Right Stuff for making a high quality tripod and ballhead set up. You guys rock!!! Article and images by David Thompson. © 2013 David Thompson Photography. All rights reserved. Spent one morning in the Bisti Badlands a few years ago. While I got a few nice shots I wish I could go back and spend a few days there. It is too big and there is just too much to photograph in one session. Your images are fantastic and truly out of this world. Oh, and for those planning a visit take a handheld GPS, it is easy to get lost in this maze of washes and bizarre formations. Beautiful pictures. My favorite is “Virga”. The rock formations are very similar to those in Cappadocia, Turkey. Did you use a filter to balance the sky and the foreground, or did you combine 2 or more images together? Thanks Carol, I appreciate the kind words. Ill be the first to tell you that grammar is not my forte. Noted….and will do a better job next time. Time. E. Santos…..you’re correct. 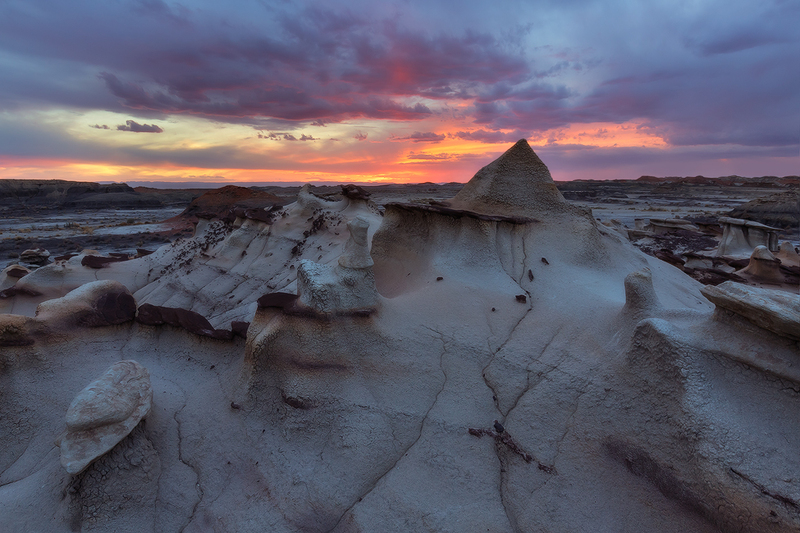 The Bisti Wilderness area is very large. A GPS device will definitely make things easier. Thanks Alex! “Virga” was one of my favorites from the trip as well. We had nice, fairly even side light illuminating the landscape, so I chose to double processed the RAW file twice. I had enough information to complete the majority of the processing with the one file, but processed the RAW file a second time to tone down the highlights in the sky. Sweet images David and a great write up! The top image “Ghosts” is just sick! Nice work! Love the write up David. Can’t wait to see more wonderful work of yours. Always inspirational! Truly amazing colors and textures! It is fantastic when you can capture scenes from little-known places that haven’t been shot a million times before. 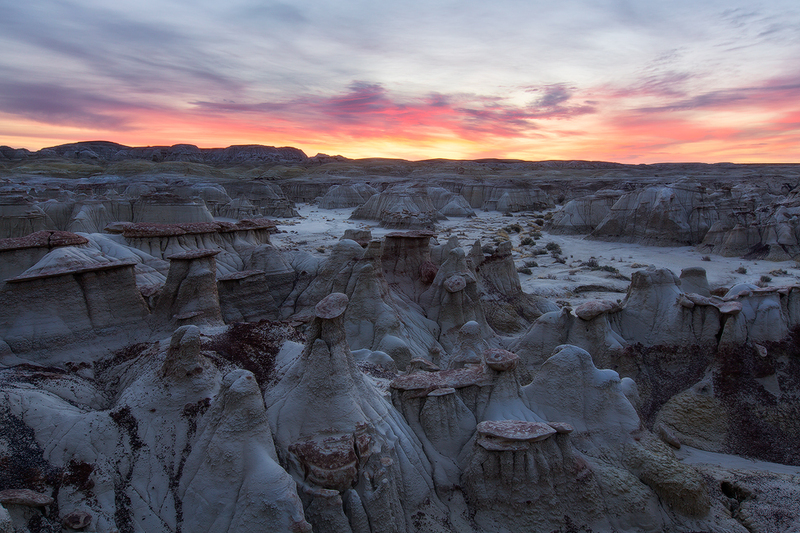 I don’t recall ever seeing images from the Bisti Wilderness. “Virga” is stunning. 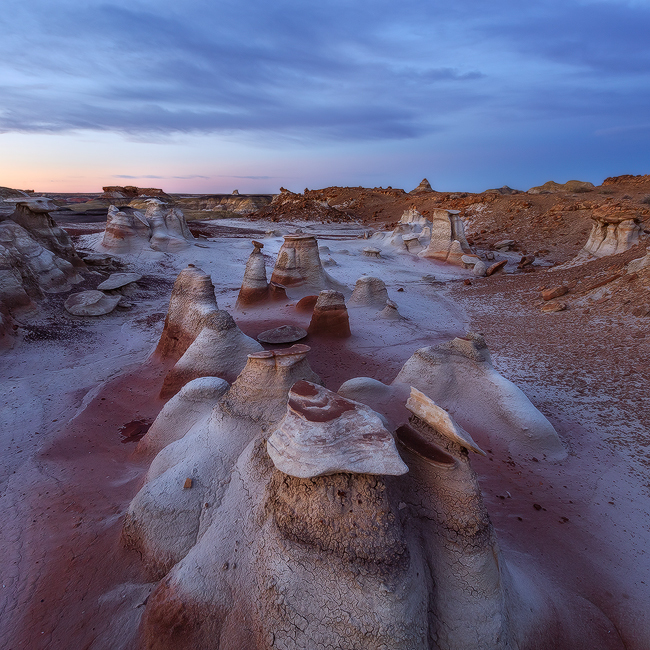 Joe Sr.
I’ve only been to Bisti once, about 3 hour drive from where I live in Albuquerque, but seeing your pics inspires me to get back there and get MUCH better images.